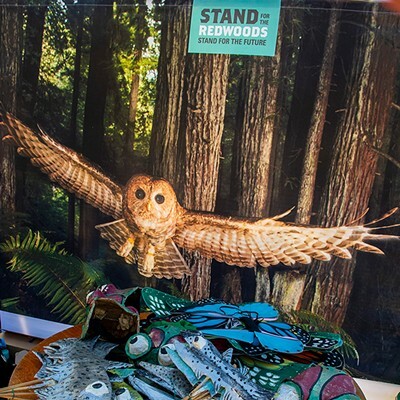 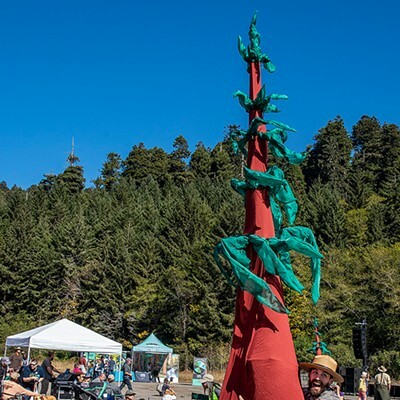 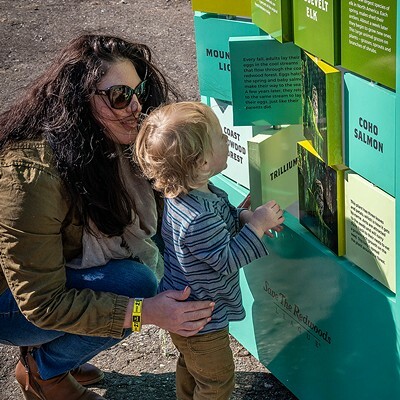 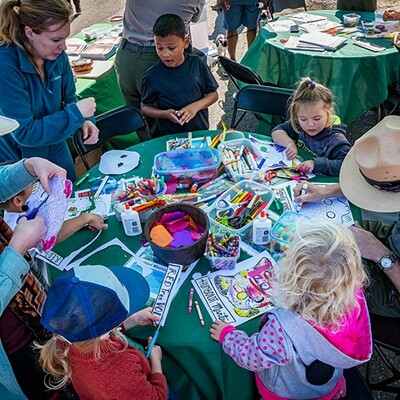 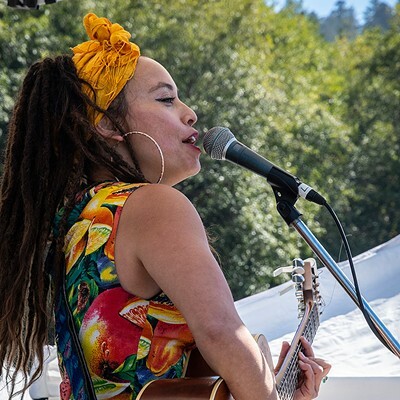 The large former redwood mill site north of Orick was transformed Sunday into party central for Stand for the Redwoods, a celebration of the 50th anniversary of Redwoods National Park and 100 years of redwoods conservation and restoration. 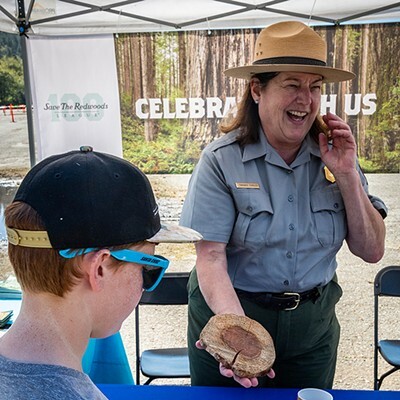 The Orick mill site, once filled with huge old-growth redwood logs, was purchased in 2013 by Save the Redwoods League and is proposed to become a destination welcome center by a coalition of national and state parks, the Yurok tribe and others. 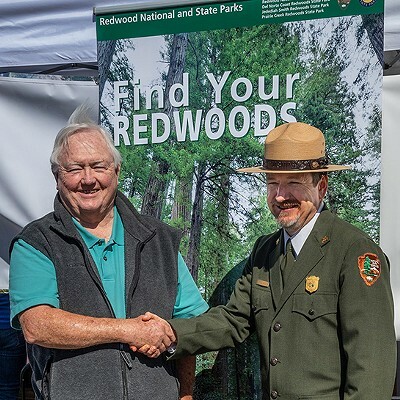 Speakers at the event represented the coalition of advocates for protecting and restoring the redwoods, including Redwood National Park Superintendent Steve Mietz, District Supervisor of Northwestern California State Parks Victor Bjelajac and Save the Redwoods League President and CEO Sam Hoddar. 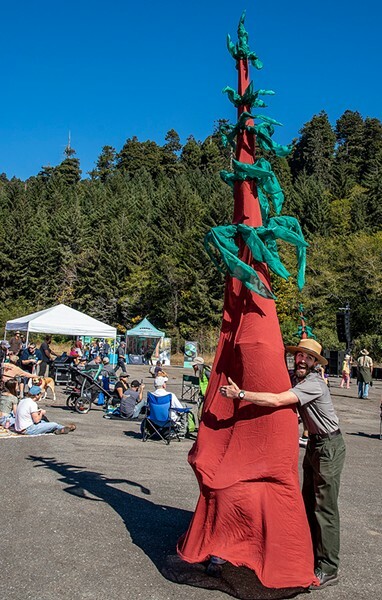 Zack Zwerdling, volunteer with the Redwood Parks Conservancy, gave a moving tribute to Lucille Vinyard and her activist role in protecting the redwoods. 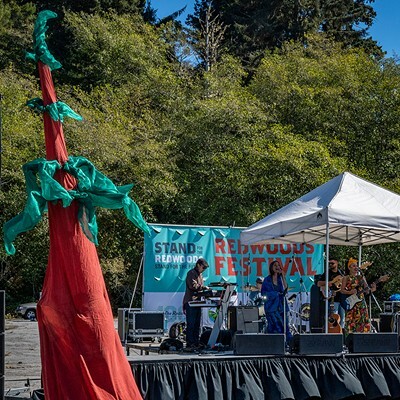 The afternoon celebration was filled with lots of children's activities, a tent with adult beverages, live puppets by members of the Save the Redwooods League, cake for attendees and good music by the Monophonics, Saritah and Marty O'Reilly and the Old Soul Orchestra. 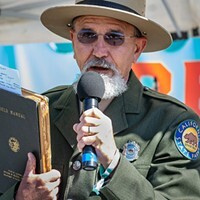 O'Reilly and members of his orchestra finally livened up the fairly staid event and passive audience by unplugging from the stage and gathering attendees in a large crowd around them on the asphalt as they ended with an acoustical set. 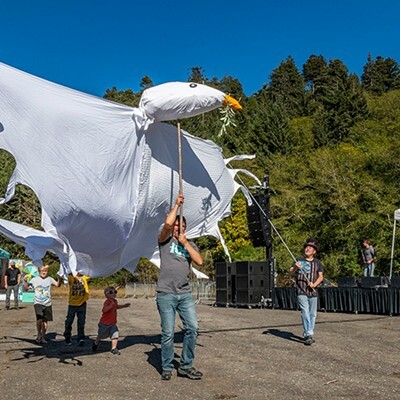 A lively children's parade followed. 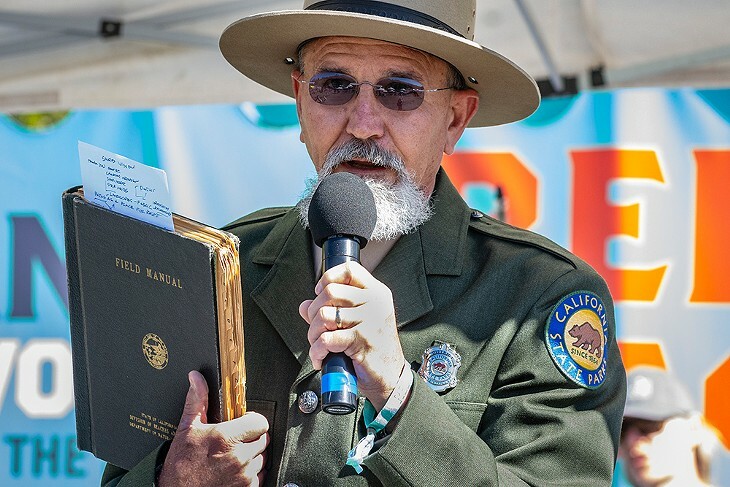 Check out the slideshow of the festivities from local photographer Mark Larson below.